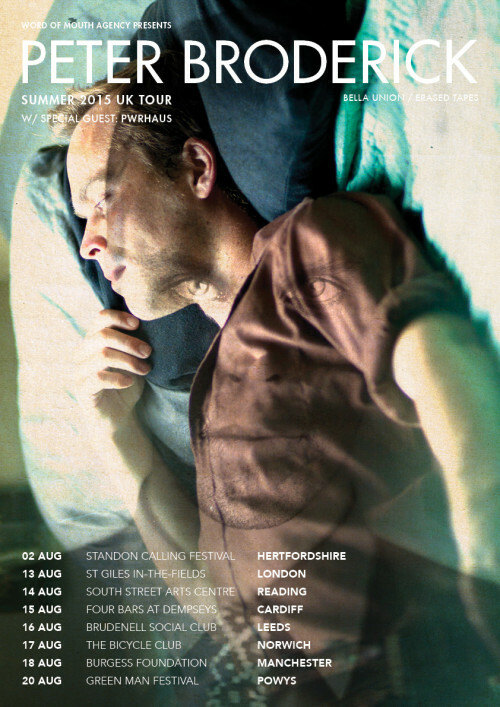 Peter Broderick » Blog Archive » uk dates announced! « COTN RMXD is out! This entry was posted on Thursday, July 9th, 2015 at 6:48 pm	and is filed under News. You can follow any responses to this entry through the RSS 2.0 feed. You can leave a response, or trackback from your own site. hi dave. i’ll mostly be solo. my friend tony will join me for a couple songs most likely 🙂 the only show i’m doing with the band the rest of this year is at standon calling on august 2.